It's easy to receive your magicJACK Voicemail as text. 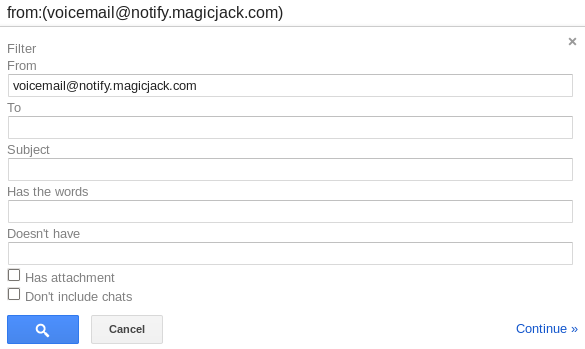 Since magicJACK is already sending you voicemails via email, all you need to do is to forward those emails to your Voicemail Transcriber. Your Voicemail Transcriber will pick them up, transcribe and send you the transcripts. Here are the steps if you use Gmail for your email (other email clients are very similar). After Create/Update filter, you are done. 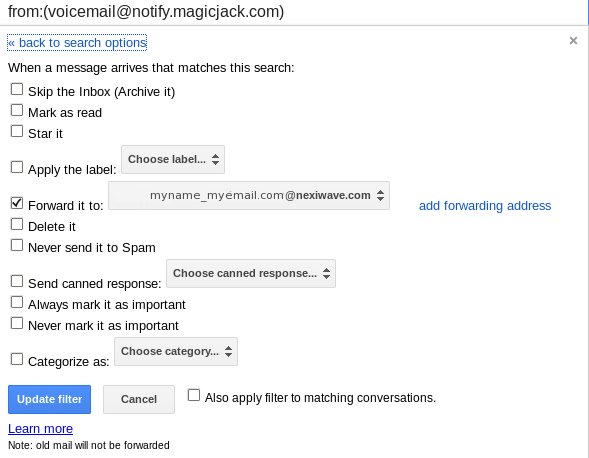 Your magicJACK voicemails will now be transcribed by Nexiwave's Voicemail-to-text service.